With contributions by more than 30 expert researchers, this handbook covers the whole spectrum from chemistry to cell biology and from theory to application. In so doing, it deals with a broad range of topics from the chemistry and biophysics of caged compounds to their application in time-resolved studies, comparing the properties of different caging groups. 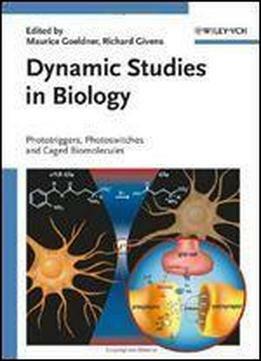 The authors describe in detail light-activation of proteins as well as nucleic acids, while a special section is devoted to multiphoton phototriggers. A must-have for every biochemist, biophysicist and molecular biologist developing and working with these novel methods.